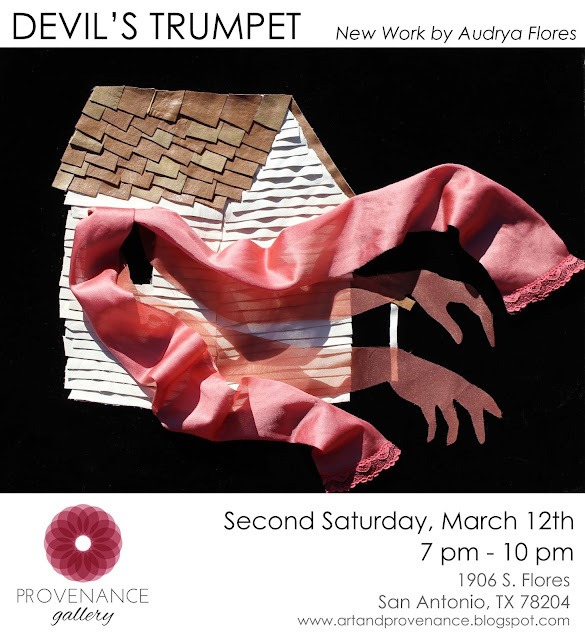 Provenance Gallery is pleased to present Devil’s Trumpet, new work by Audrya Flores. “This series of assemblage work exposes my artistic process. I create tactile representations of my dream symbols as a way to decode their meanings and resolve the conflicts they represent. Our exhibition was featured on the Express-News' list of must-see Contemporary Art Month shows. Exhibition will be on view until April 2nd, by appointment. Click HERE to RSVP on Facebook. 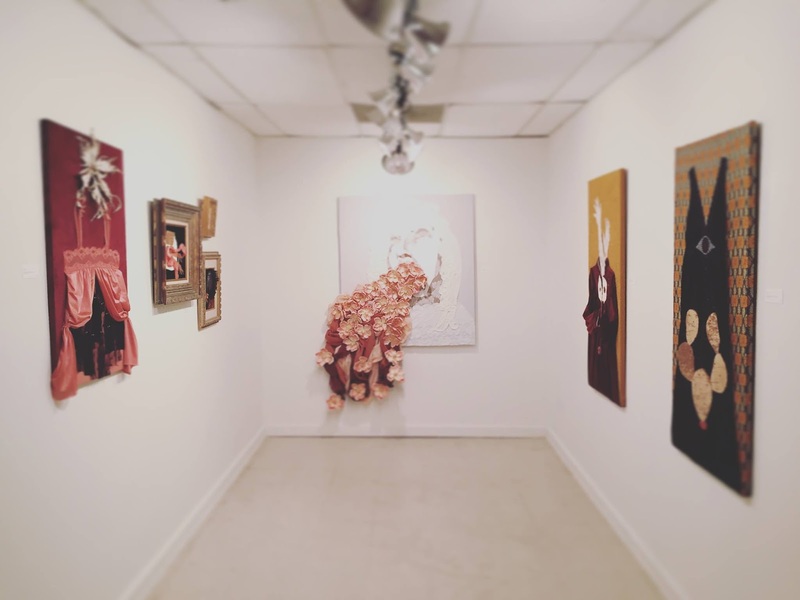 This month the gallery will be hosting its first artist-led workshop with our featured artist, Audrya Flores! Hands are a prominent symbolic element in artist, Audrya Flores' work, and in this workshop, she will share her process for creating a "ghost hand" fabric and paper collage. Participants will be encouraged to explore this imagery by creating their own unique work of art. Cost: $5 Suggested Donation, includes all materials and light refreshments. Space is Limited. Email stephtorressa@gmail.com to register.